Home > Google > Are you ready to take up the Upcoming Google Caffeine Challenge? Are you ready to take up the Upcoming Google Caffeine Challenge? Google has announced that it’s planning for a new algorithm update called “Google Caffeine”. Promisingly Google had given the developer preview for the Google Caffeine and asked for the feedback as well. Google’s web spam head Matt Cutts already confirmed that Google Caffeine data canter is at least 50% live under 209.85.225.103. Depends on the test carried out in sandbox preview people / webmasters speculate on the following which they think would be added / implemented in Google Caffeine. Google’s Speed: This means how faster Google returns the results for the requested query and this seems considerably faster compared with the existing Google results. The feedback from all the webmasters are positive and helps you find the results in a faster way. Google wins under this category. Your Website Speed: Google already produced the website (your) speed details under Labs section in webmaster console. Matt Cutts already speculated that site speed would be a ranking factor in the upcoming days. Make sure you speed up your website before everything goes out of hand. You can use the suggestion provided in Google webmaster console for individual URLs to speed up your website. 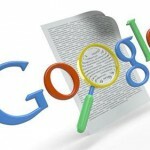 Faster Indexing: This is again a great addition from Google. “Faster Indexing” means Google finds the web pages at faster rates thus your new pages getting indexed in Google is higher. At the same time, don’t misunderstood your online visibility in Google will also be improved. As more pages will get indexed faster, your competition will grow stronger and you need to work harder. Relevant Results: This would be the best move in terms of Google users. As Google tend to provide more relevant results, its high time for search engine optimizers to optimize the website for more relevant results and built the website with more relevant information’s. Fresh Data: The feedback from the webmasters tested the Google Caffeine sandbox that it results more fresh results. It’s obvious if the note on “Faster Indexing” becomes true. So to keep your website live, you need to add more fresh content in regular basics. You can add Blog, News section in the website. This helps you tackle this. Breaking News: From the observations, its been said that Google tries to catch up more with breaking news. This is the wiser move Google after they failed to produce the breaking news on “Michael Jackson Death”. Do remember to include Press Releases in your online campaign. 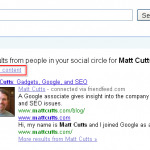 Avoiding Duplicates: More relevant results means Google has to tackle the duplicate content in SERPs. Google is already good in finding the right page amidst the duplication. As its very difficult for us to tackle the duplication issue from other websites / blog as we ill not have control over the other sites we have to just complain and wait for Google to take a final call. However, we can check our own websites and remove the internal duplication if we have in terms of URL canonicalization, pagination etc. OLD SEO School Lesson: There are suspicion that Google Caffeine gives more important for the websites having keyword in URL. This is not something new we hear and this is the pretty old school SEO lessons people try to implement in their SEO campaign. However, I suggest having keyword rich domain if you plan to start a website for a single product / service etc. 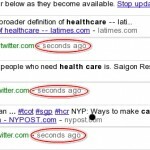 Real Time = Social Media: Google started displaying real time search in SERP in the form of twitter results. Hearing all these, we cannot limit ourself sharing our own website in social media sites and perhaps it would be a great addition if you could help your website visitors to share the information to social media as well. You can implement something like “Share This”, Tweet this” and “Share This” etc in your website. Images Out, Videos In: There are reports that Google Caffeine gives more important for videos and less priority for images. I am not sure how far this could be true as Google themselves announced Blended Search Results last year and webmasters around the world talking about image optimization, PDF, Videos, News etc to dominate the SERPs. This can be confirmed only when Google Caffeine is out. No need to panic about Google Caffeine until we have the answer “Yes” for the below questions. Is your website speed enough to compete? Is your website content fresh enough to compete? Is your website having enough social media mention to compete? Fresh Content, How Does It Improve Search Engine Rankings? This new algorithm of Google will prove effective to the sites which are new and their keywords are competitive. Google’s algorithms are very efficient and beneficial. Where is your source that Matt Cutts confirmed 50% live? @Business Blogging – Thanks for thekind words. @fire cracker – Yes agree with you!